Zoho Writer vs. Google Docs & Microsoft Word Online: Is It Time to Switch? 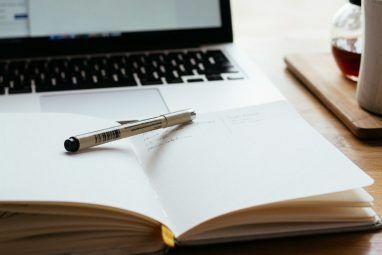 When it comes to fantastic online word tools 13 Browser-Based Tools For Writers 13 Browser-Based Tools For Writers Whether you need help with organization or a clean slate on which to write your words, these tools will prove useful to all of you who write on a regular basis. Don't miss out! Read More you are spoilt for choice. But only three can claim to be complete, full-fledged word processors: Microsoft Word Online, Google Docs, and Zoho Writer. The last of these has recently been overhauled, and the new Zoho Writer 4.0 seems like a real challenge to the big two. The focus of the new app is about reducing clutter in the interface Clearing Out Clutter Is Good For You — But Why? Clearing Out Clutter Is Good For You — But Why? Decluttering is a great way to start the year feeling fresh, and it gives you a big sense of accomplishment — but there's more to it than that. This simple habit can improve your life. Read More , and making tools easy to find for a writer. Far too often, you might be stuck trying to add a particular type of table, or can’t figure out how to make an index/table of contents for your document. Zoho Writer 4 wants to reduce that effort from you, so you can concentrate on writing alone. Open the app and you will first notice that it looks cleaner and more sparse than Google Docs or Microsoft Word. Zoho has removed the toolbar, or Microsoft Office’s famed Ribbon How to Optimize the Office 2016 Ribbon or Menu Interface How to Optimize the Office 2016 Ribbon or Menu Interface Do you often search for menu items in Microsoft Office? It's time to re-arrange and customize the Ribbon menu for your personal needs. You'll be surprised how flexible and easy it is! Read More , to make the writing environment more minimalistic. Instead, the rich editing and formatting tools pop up whenever you select a word or a sentence. Having that toolbar right next to your selection means that you don’t have to move your mouse as much. In case you always want to see the rich editing tools, Zoho Writer 4 does the smart thing by putting them in a pane on the left. Modern monitors are all widescreen, so you usually waste space on either side of your document page. By putting the formatting tools there, not only do they make better use of valuable screen space, but they can also include labels next to icons. How often have you moused over the various tiny icons in your toolbar, waiting for the tooltip to announce what that button does? Clear labels make that a non-issue in Zoho Writer. Zoho has divided the writing process in three natural stages: Compose, Review, and Distribute — each with its own button. Compose is all about actually writing, so it’s as distraction-free as possible. You should probably check Zoho’s Settings once before you start. It includes useful writing tools like auto-correcting words where the first two letters are accidentally capitalized instead of the first letter alone, or turning quotes into smart quotes. Review is where the spellcheck and proof-reading tools comes in. Zoho Writer 4 comes with a built-in Reader Mode. Try it out, it’s like looking at your document in a whole new light, which will often let you spot mistakes that you wouldn’t otherwise notice. The Review mode also has collaboration tools, so you can add colleagues and ask them to comment or make changes. Distribute, the last of the three stages, is simply about sharing or publishing your document on the Web. 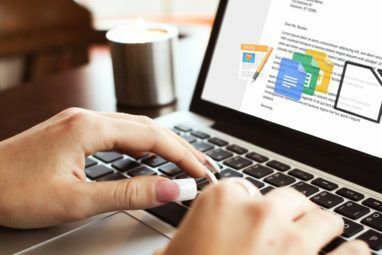 Here too, Zoho Writer shows how a word processor meant for the current Web should incorporate more elements, like directly posting to WordPress or figuring out who has accessed your document. With simple “yet to view”, “view”, and “active” labels, you know exactly what the status of the document is with a certain colleague. I alternate between Google Docs and Microsoft Word often. Both have their own uses, with Word being my preferred offline word processor while I work with Docs online. This entire article was written in Zoho Writer 4. In my opinion it offers a nicer writing environment. It wasn’t the minimalism that sold it for me, though, it was the ease of use. After having dived into the settings to change what I want, I found myself typing faster than I do in Word or Docs. For example, the command search feature is better than what you get in Word’s Ribbon or the hidden menu search in Google Docs 10 Google Docs Tips That Take Seconds and Save You Time 10 Google Docs Tips That Take Seconds and Save You Time Learn some secrets that'll boost your Google Docs productivity with the help of these quick and simple tips. Read More . Press Alt+/ at any time and a search bar pops up, akin to any launcher on an operating system. In this, search for anything you want to do. Typing “table” will drop-down all commands that contain the word “table”. Using the arrow keys, I was able to insert a table in no time, without knowing the keyboard shortcuts at all. Yes, keyboard shortcuts are useful in any program Word Processing In Google Docs? 5 Important Tips To Keep In Mind Word Processing In Google Docs? 5 Important Tips To Keep In Mind For the majority of my life, Microsoft Word was the word processing tool to use if you were going to do any serious work. 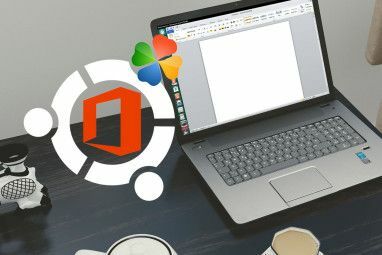 Sure, there were alternatives like Corel WordPerfect and later on OpenOffice,... Read More , and you can learn them too with the built-in shortcut help. Most of them are the same as the shortcuts you’ll use in other word processors, so you should be able to get going without any issue. However, I found myself using Alt+/ more often, since it was more intuitive. Great software is when the software blends into the background, and the technology seems to work without you getting stuck. That was my experience on Zoho Writer 4, which I can’t always say about Word or Docs. The biggest problem with Zoho Writer 4 quickly becomes clear after finishing. I missed the online storage options! Where Google Docs are automatically stored in Google Drive and Word Online can be saved in OneDrive or Dropbox, Zoho Writer doesn’t work with any of the three main cloud storage providers. And just like that, I was stuck. 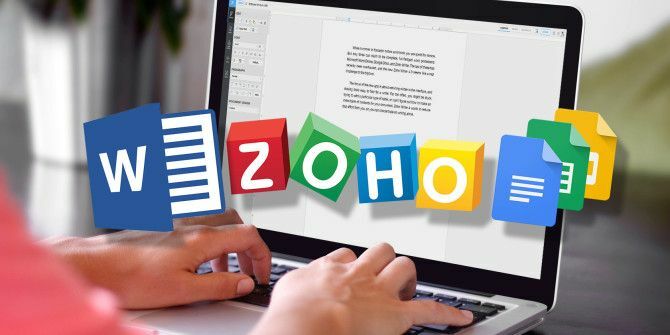 Zoho Writer is useful if you are willing to put all your documents into it alone, forgoing your current Google Drive, Dropbox, or OneDrive cloud storage. But that just doesn’t seem like a good idea. It also requires anyone you are collaborating with to have a Zoho Writer account. Sure, Word Online and Google Docs require that too, but it’s more likely that your collaborators already have a Google or Microsoft account. How many people do you know who are using Zoho Writer or would be willing to sign up for it? If Zoho Writer 4 hooked into the big three cloud storage services and I was able to collaborate with users with those accounts, I’d make the switch right now. As it stands, the decision is a little more complicated, especially since Word and Google Docs make collaboration simple How to Easily Collaborate on Google Drive with Online Annotation How to Easily Collaborate on Google Drive with Online Annotation There are specialized annotation web apps available that integrate with Google Drive and make communicating with others about your document easier. We look at the best annotation tools for Google Drive. Read More too. On the bright side, Zoho Writer is available as one of those awesome Google Drive add-ons 5 Google Drive Add-ons You Need to Use 5 Google Drive Add-ons You Need to Use Google Docs and Google Spreadsheet are both amazing free services, but when you include some of the add-ons listed here, it can breathe new life into these tools. Read More to open Docs in Zoho Writer directly. Writing environment: This one is bound to be subjective, so there’s no clear winner here. None of the three are off-putting, but I did like Zoho Writer’s aesthetics the most. That said, the minimalism comes at the cost of research tools in Word and Google Docs Google Docs vs. Microsoft Word: The Death Match for Research Writing Google Docs vs. Microsoft Word: The Death Match for Research Writing Online solutions are becoming the norm. We decided to see how Microsoft Word stacks up against Google Docs. Which one will do the better research paper? Read More . Ease of tools: Zoho Writer is the clear winner for me here. Putting clear labels on the formatting tools helps in quickly identifying them, and not having to hover over icons for tooltips. More importantly, the command search bar is an excellent addition, and one which clearly gives Zoho Writer the edge for me. The bottom line is that whether you use a mouse or a keyboard for your formatting, both types of users are well supplied with intuitive tools here. Word File Support: It’s a no-brainer that Word Online is the best at this, since you can directly open DocX files in their original formatting. However, Zoho Writer 4 also supports DocX, unlike Google Docs which converts it into a different format. Revisions and Proof-Reading: Here again, Zoho Writer 4 got a major plus from me. Have you ever pressed Ctrl+Z (undo) and Ctrl+Y (redo) one too many times in the midst of an editing process and lost the original writing? Zoho Writer’s built-in document history takes care of that. I’d also recommend using the Create Version tool, which saves the way a document looks at a certain time, so you can go back to that version later, in case subsequent edits have messed things up too much. Collaboration: Zoho Writer’s collaboration tools are fantastic, and the ability to lock certain portions is unseen in Word Online or Google Docs. However, I worry about actually working on a document with other people since they’re required to make a Zoho account too. You can’t use your company-issued official Microsoft or Google accounts, which is a major miss — especially if you’re collaborating on a work-sensitive document and can’t open it with your personal account. And remember, Office Online has impressive collaboration tools 3 Microsoft Office Online Teamwork & Collaboration Tools That Impress 3 Microsoft Office Online Teamwork & Collaboration Tools That Impress With Office 2016 and its free online counterpart, Office Online, Microsoft has rolled out new tools for teams to collaborate remotely and in real time. We show you what you can't miss. Read More too. Cloud Storage: I’ve made my feelings about this clear. Since Zoho doesn’t let you auto-save to Google Drive, Dropbox, or OneDrive, it’s the loser here. Would You Switch for a Better Product? Overall, I do think that as an online word processor alone, Zoho Writer 4 has the better product when compared with Google Docs or Word Online. However, since collaboration is such a key aspect of the modern online writing experience, I am unhappy with the lack of support for existing cloud storage or popular online accounts. At the end of the day, the question is this: Would you switch to using a new cloud ecosystem if it had a slightly better word processor, or would you continue with your current cloud ecosystem which has a good enough word processor? Let us know your thoughts in the comments. Explore more about: Google Docs, Microsoft Office Online, Microsoft Word, Word Processor. Thanks for a good review. I am switching over tp most of zoho apps, so better do the same for doc for the full organisation. How does it compare on cost? Great article but fundamentally incorrect in one area - storage Zoho has ZohoDOCS. As a Zoho Writer user I have not found any issues with asking people to create a Zoho account to collaborate with me as its free. I think people are used to having accounts on multiple platforms these days. Zoho does have Zoho DOCS which is very similar to Google Drive, OneDrive and DropBOX. Dropbox is the clear winner in my view for online storage and the beauty of Zoho Writer is I can save in .docx format into Dropbox and then collaborate with who ever I want. Of course the really big benefit of Zoho as a platform is there terms of service guarantee absolute privacy of your content which will never be sold/mined for advertising and other uses. Something neither Google or Microsoft commit to. "...who ever I want..." should be whoever. The whomever and whoever rule applies. I guess Zoho Writer is more consistent with offline Microsoft Word behavior than even Microsoft's own online Word. I used so many features and I just felt right at home (Word offline). Issue with Word online is its a bit slow or glitchy. It never worked with me. Zoho is hell lot lightweight. Just to tell how good Zoho is: I guess its the only one to support equation editor. None other do have equation editor right? I should give Word Online another try if they have improved since I have last used. But I am already switched to Zoho. Google is out of question for me as it does not support docx file. Microsoft Office is work best to use for personal work environment, like when working on home, etc. and Zoho/Google may work best for collaborative environment, like when dealing with team or client. And what about Open 365? I used desktop word for almost all my word processing and google docs for shared documents. I sometime use Word Online to share word documents in collaboration. While Zoho is certainly a great office suite, it doesn't compare to MSOffice in features or Google Docs in collaboration. So no, unfortunately I'd rather not switch. I is word feature + google docs collaboration - best of both words. You say "I missed the online storage options!" I don't understand that because when you open that Zoho Writer 4 link at the top of this page, the 3rd sentence that you see on the Zoho web page is "Create and edit word documents online with ease."